Message: I cannot find pfd wool for dyeing. I have contacted wholesalers. I find already dyed wool, but not a natural color to dye. I know it’s out there somewhere, I just keep hitting a wall. Any suggestions? Do you mean wool fabric or wool yarn? Testfabrics, Inc, has wool fabric that is prepared for dyeing, including worsted wool flannel, wool jersey knit, worsted wool gabardine, and wool felt. See their Worsted and Wool Fabrics Product Listing. 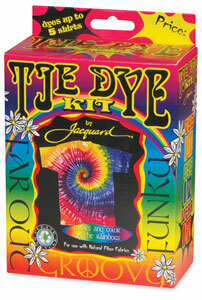 Dharma Trading Company is one of a number of sources for dyeable wool yarn. They also sell wool roving, and a silk/wool blend fabric for dyeing. Start with their Natural Yarns For Dyeing page. This entry was posted in sources for supplies on July 15, 2014 by pburch. Heavens to Betsy is another company that carries natural/white wool, and also Searsport Rug Hooking sells wool yardage. Dorr Wool’s quality is a little better than the others, but it all dyes beautifully. Thank you, Laura. Exactly what I hoped to see. Thank you so much, I did find Dorrs mill, very helpful and I will check out the other 2 suggested.